This was my first “modern” quilt. It is from the book “The Modern Quilt Workshop” by Weeks Ringle and Bill Kerr, and started my love for a more modern style of quilt! I modified the blocks to be slightly smaller to more efficiently use the fabric that I had. 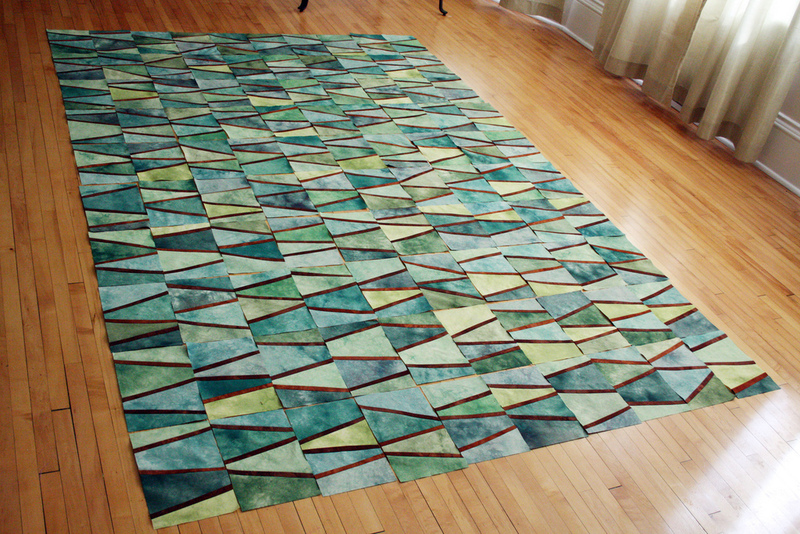 The year before this I started dyeing my own fabric and so this was also my first quilt entirely made from my own hand-dyed fabric! 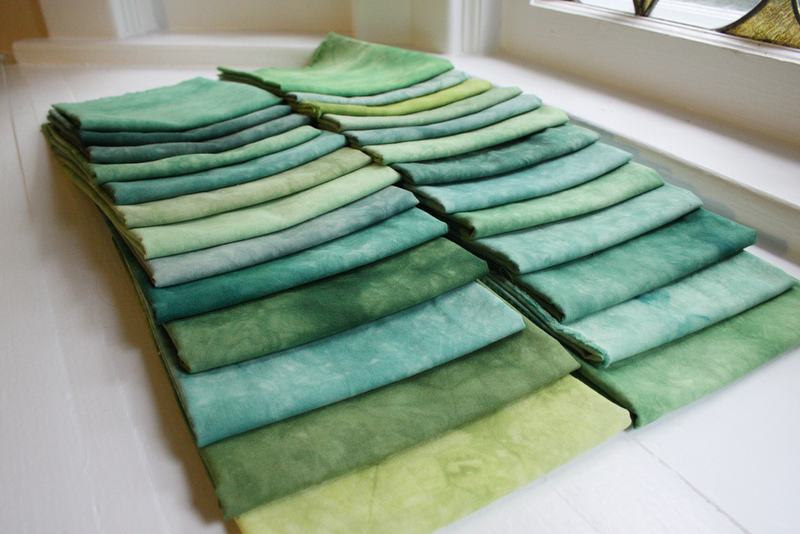 I highly enjoyed playing and coming up with all the different beautiful shades of green. 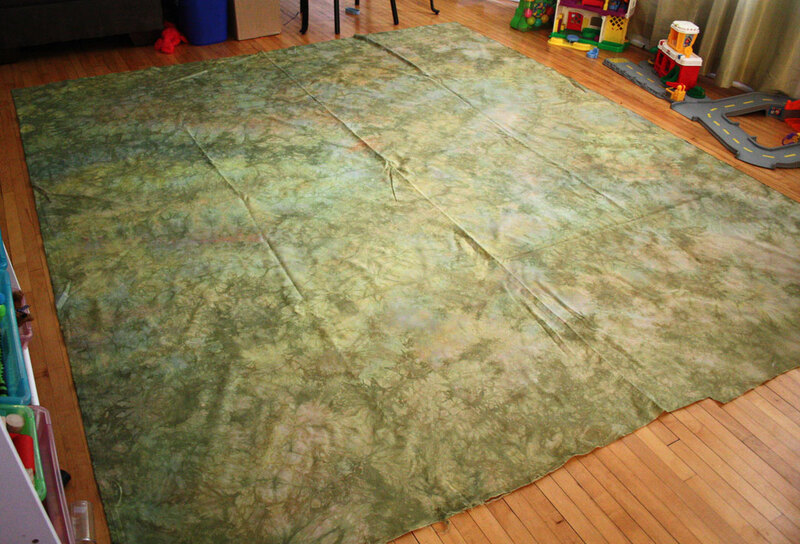 I also hand-dyed a giant piece for the backing. 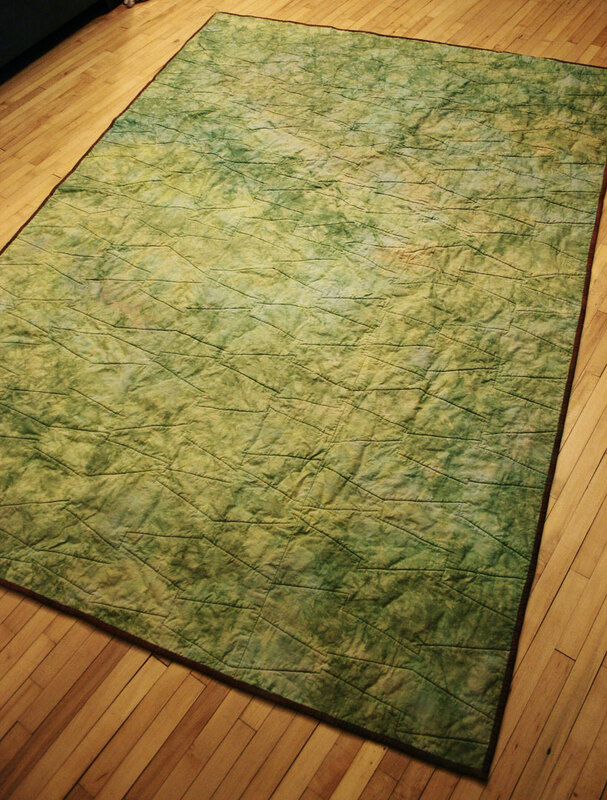 Unfortunately, I never got a good photo of the front of the finished quilt.